BEIJING (AP) — China on Tuesday demanded the U.S. cancel a $330 million sale of military equipment to Taiwan, warning of “severe damage” to bilateral relations and mutual cooperation if Washington fails to comply. “We urge the U.S. side to … immediately cancel this arms sale plan, and stop military contact with Taiwan so as to avoid severe damage to China-U.S. ties, peace and stability in the Taiwan Strait and bilateral cooperation in major fields,” Geng said. 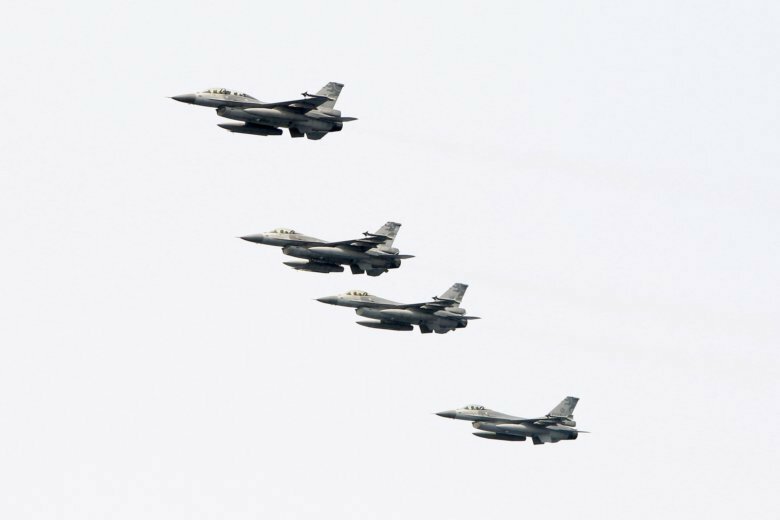 The Trump administration said Monday that it had approved the sale of spare parts and related support for Taiwan’s U.S.-made F-16 fighters and other military aircraft. The U.S. said the sale will improve Taiwan’s ability to defend itself without altering the basic military balance in Asia, where Washington and Beijing are increasingly competing for dominance. China as a principle opposes all U.S. military sales to Taiwan, which split with the mainland in 1949 but which Beijing continues to claim as part of its territory and threatens to invade to bring under its control. In response, China summoned the American ambassador and defense attache to deliver a protest and recalled its navy commander from a U.S. trip. China’s Defense Ministry said the U.S. had no right to interfere in Chinese military cooperation with Russia and demanded the sanctions be revoked. The Kremlin dismissed the sanctions as an “unfair” move to undercut Russia as a major arms exporter. In a further sign of retaliation, China turned down a request for an October port call in Hong Kong by the U.S. Navy’s amphibious assault ship USS Wasp, according to the U.S. Consulate in the semi-autonomous Chinese territory. China last denied such a visit in 2016 amid a spike in tensions between the sides over the disputed South China Sea.